If you’ve been paying attention to the news coming out of the D&D Experience, you’ve probably noticed the term “Vancian” come up, followed by a fair bit of tension. The Wikipedia article isn’t especially helpful, being nothing more than a list of various magic systems. The TV Tropes listing is somewhat better, as is the Arcana Wiki article (more information good, less neutral tone bad), but neither do much to explain the underpinnings of the concept. My experience is that most modern gamers are largely unaware of it, both as a convention and as a design philosophy, which is kind of unfortunate. As you almost certainly already know, Vancian magic is named after the magic system found in Jack Vance’s Dying Earth novels. “The tomes which held Turjan’s sorcery lay on the long table of black steel or were thrust helter-skelter into shelves. These were volumes compiled by many wizards of the past, untidy folios collected by the Sage, leather-bound librams setting forth the syllables of a hundred powerful spells, so cogent that Turjan’s brain could know but four at a time. Turjan found a musty portfolio, turned the heavy pages to the spell the Sage had shown him, the Call to the Violent Cloud. He stared down at the characters and they burned with an urgent power, pressing off the page as if frantic to leave the dark solitude of the book. There’s no evidence, however, that Gygax and Arenson based their magic system directly off the books. It seems to have been more of a “We have a square hole… oh, look, a square peg!” situation where Vance’s books coincided with their design theories. I know it seems like roleplaying has been around forever, but chances are good that you’re playing with someone who is older than the hobby (that would include me, by the way). Dungeons and Dragons didn’t spring full-formed from the minds of Gygax and Arenson. It actually has its roots in historical miniatures games, most specifically Column, Line & Square. The most popular era was the Napoleonic period, probably because the uniforms were still outlandish and fun (as compared to the relatively boring uniforms of today’s armies), the generals were interesting (one of Napoleon’s cavalry officers, Murat, liked to eat grass with the horses before a big battle) and there was a wide spread of troop types, technologies, weapons and tactics. D&D evolved out of these games and it shows. One of D&D’s contemporaries, Chivalry and Sorcery, shows it even more clearly. Basically, those first RPGs were guys saying “We don’t have to just simulate Waterloo. We could simulate Lord of the Rings too!” This is important to remember, because the core “look and feel” of classic roleplaying games derives from this mindset. Spells were perceived as ammunition. This makes sense, when you think about it. Both the early RPGs and miniatures systems used the same basic unit of tactical time: the day. Classes were treated like units and class identity was strictly maintained. To the military mind, a unit behaves in ways that fulfill a specific need. In this sense, early class development centered as much around role as story and it played into the traditional trade-offs of military units. You can’t have a heavily armored magic-user (swordmages and the like came later and remain contentious) because that’s not what an artillery piece is. It was an intuitive road to play balance because it fed into expected strengths and weaknesses. Mechanics and progression were handled with charts and tables. Take a look at old military or technical manuals and compare the formatting and structure with early versions of D&D. This was how information was stored and it had an effect on how the game felt. Randomness was used to simulate reality. 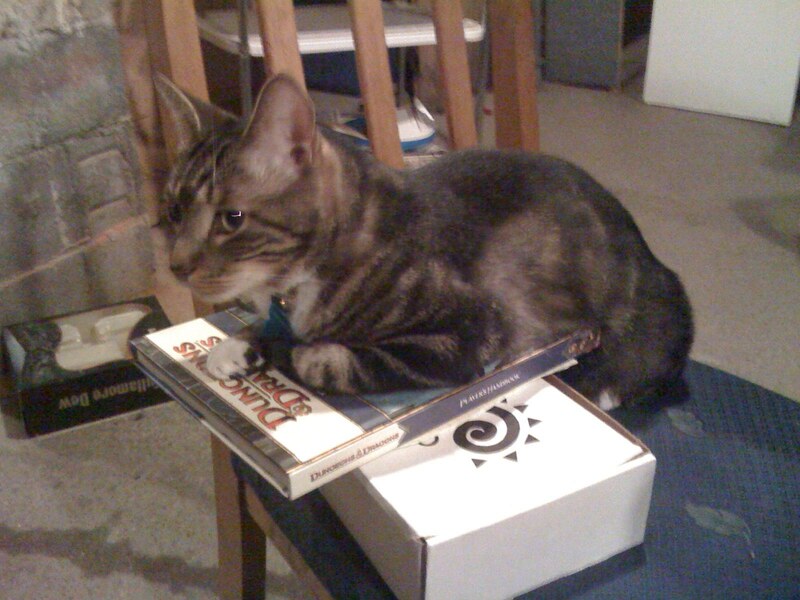 Many modern miniatures games retain “weather rolls” or similar mechanics intended to introduce randomness as a form of balance. Many roleplaying games include random encounter tables and random loot. They were written by men, for men. While all of them were sexist, sometimes overtly so, it’s important to realize they also were written for an audience with some very specific ideas about masculinity that were reflective of the thinking of the time. Intellectualism and learning were not exactly important qualities for the heroes of yore. They all share a “where strength won’t do, cleverness and trickery win the day” esthetic. Sometimes being smart or gaining knowledge was actively punished. Magic was either exceptionally rare or on the decline. The notion that magic could be a part of everyday life is actually fairly modern. In my literary experience, it first shows up in The Incarnations of Immortality series by Piers Anthony. It’s never been all that popular outside of of books for younger readers like Harry Potter or Percy Jackson. Magic was usually bad for you and often a tool of the enemy. I’ve never seen a classic fantasy piece where magic was clearly a force for good. Even today, books in which the idea of a magical utopia is discussed always refer to it as something that once existed, but has been lost. In many ways, magic was imagined much like nuclear power (atomic bombs, stolen secrets, radioactive waste, nuclear winter…). Sometimes gaining magical power required personal sacrifices (Hand of Vecna) or weakened/harmed you (Raistlin). Practitioners of magic were either very powerful people who were in control or who lived in deliberate obscurity. Given the negative perception of magic, it’s not unreasonable that most of the people who used it were either power hungry or people who hid their dangerous power from the world. If you consider the Force in the Star Wars universe to be a form of magic (which it is), you can see this principle very clearly. Learning magic was always a difficult process in which the student was likely to make dangerous mistakes and was unreliable until the student gained further mastery. In the few light-hearted presentations, the apprentice was almost always presented as being something of a bumbler and his magic was likely to go perversely awry. Again, the books of Piers Anthony are helpful in seeing this at work. If you want all of this wrapped up in a neat package, Lawrence Watt-Evans wrote a series of books that started with Lure of the Basilisk (it’s technically called The Lords of Dus Series, but I couldn’t have told you that with a gun to my head). Not only are they excellent reads, but every single one of these tropes is presented there. So the early RPG developers built a magic system based on their understanding of fantasy magic tropes and miniatures game balance, but how did it work? Spells were split into (spell) levels that a character could gain access to as it went up in (character) levels. Sometimes a class started with spells, sometimes it would not gain them until later. Sometimes the same spell was listed as being different levels for different classes. Characters could learn (or gain access to) a large number of spells. Traditionally, arcane casters had to go out and find copies of spells, then pass a check to see if they could actually learn them. Gods granted divine casters access to most, if not all, of the spells of the appropriate level. Imagine working to find a copy of a spell, then botching the roll. It happened. The caster would memorize (or select) a certain number of these spells for the day. Let’s say that a 2nd level AD&D Magic-User (the equivalent of today’s Wizard) knows Burning Hands, Comprehend Languages, Detect Magic and Write (I could have sworn that I remembered that every Magic-User got Write and Read Magic automatically, but I’m too tired to make sure). Looking at the chart below, he can prepare two spells. He decides that he’s expecting a lot of fighting, so he decides to prep two Burning Hands. When a spell was used, it was lost until it was replaced by memorizing. The system did not include methods of recovering expended spells until much later. Most magic items had either a per-day usage restriction or charges that had to be tracked (This was especially true of wands. Scrolls, salves and potions were always single-use items). Casters were not given at-will spells. This led to situations where Magic-Users would pick up a crossbow or other simple weapon to use when they were out of spells. Casters were not permitted to dynamically swap spells until later editions. This was mostly restricted to healers, who could turn in a combat spell for something that could heal. Most of the spell design was “top down”. Vancian magic centers around the idea that spells are very rare and very powerful. The designers started with the most powerful things they could imagine a caster doing and worked down from there to the most routine magical tasks. This is why you have Wish on one end and Read Magic on the other. Power balance was attempted through mechanics external to the spells. GMs were encouraged to make certain spells difficult (or impossible) to find. Some spells had rare or expensive components. Requiring spell components was also a way to place external limits on a spell (Fess up, how many of you tracked the number of holly berries your character was carrying?). Some spells cost you experience, caused you to lose attributes (or risk losing them) or aged you. Rituals did not exist until later editions. Admittedly, there were non-combat spells that you could memorize and cast during what you hoped was downtime. Thus far, I have tried to keep the tone neutral, despite the fact that I’ve always disliked the Vancian system. This section is more of my personal opinion, most of which is going to be negative. As always, if you disagree with me or have a different perspective, please feel free to comment. Vancian magic was often hard on the healers. Even after they made it so that you could “trade-in” for a heal, very often a healer’s turn consisted of nothing more than casting Cure X Wounds. 4e’s system of having the majority of healing come from minor actions allowed healers to do something more than just spam. The mechanics of Vancian magic forces specific themes and stories. There’s simply no way to do the Harry Potter universe (among others) under a Vancian paradigm. Also, having to find spells for your casters makes non-caster characters go on adventures that benefit others more than them. Scarcity is generally a bad way to attempt balance. Keeping track of components is tedious. Also, if something is overpowered or unfun, the fact that the character can only do it every so often doesn’t make it any less so (this problem is present in many systems, not just those that use Vancian magic, but the way spells are designed in Vancian systems often makes it worse). Vancian magic is very difficult to balance with characters that don’t use magic. This problem is sometimes referred to as “linear fighter, quadratic wizard“, though I prefer the term “banding”. In 3.5 the “sweet spot” where casters and non-casters were mostly equals was levels 6 – 11. Many campaigns dissolved after that point. GM: You guys need to get into the keep. Bard: I’m going to talk the guards into letting us in. Wizard: … or I could just use Charm Person. Far more reliable and we can have them give us their stuff! Rogue: They might throw off the enchantment. Best to let me sneak in. Wizard: … or I could just use Invisibility. Fighter: I’ll bet they have some kind of magic that prevents that. I know I would. How about I bend the bars on the portcullis that leads into the sewers underneath the keep? Wizard: … or I could just fly us over with, you know, my Fly spell. Rest of the party: *sigh* Whatever. Now, I’m not going to pretend that other systems haven’t had this problem, but Vancian systems tend to have the worst time of it. Whew! I’m spent! What are your thoughts? 1) rogues infiltrate and get an easy instant kill. Stupid high stealth and perception and boots of spider climb made that easy. 2) alarm would sound and guards would have a round to surround the rogues. 3) Artillery style casters would target the rogues and rain fire on the crowd. Fireball was the preferred spell for the job. Rogues would make a dex check that they could not actually fail, and guards would die. 5) healer would heal anyone who needed it. In retrospect our GM was very tolerant of how quickly we could shank encounters that were out of a module because we tried to bend or break the tank/healer mold in any way possible. We had one player who refused to fit into this mold. He made fighter after fighter, which all died in different silly ways. Then he tried a healer and was disappointed by being useless in combat. Pathfinder does a better job of dealing with the power disparity between high level casters and fighters, but it is still there. Also, your complaint of “I could just cast spell X” to get past obstacle Y isn’t necessarily as big a deal as you make it out to be; a wizard almost certainly doesn’t have enough castings of a spell to get the entire party (barring scrolls, but those are a pretty limited resource) and a sorcerer would likely be able to do so, but then would be mostly tapped for spells of that level. Also, duration is an issue. An invisibility isn’t going to last forever, nor is a fly. Needing to recast as many as 5 spells to leave the situation is pretty likely to break the party. Finally, a lot of the time spells like flight and invisibility are used to get past obstacles and deal with encounters that no other class has a specific answer to; I’ve run through 8 scrolls of fly on my current wizard, and now prep two per day despite the fact that I’ve got overland flight going on myself for 12 hours. All of those scrolls were to deal with obstacles mid combat or flying threats. Really, I find my wizard spending so many rounds making his allies better that I don’t often have time to actually do the earthshaking stuff. I wasn’t really addressing the quality of rituals in 4e. I was simply mentioning that non-combat magic was not really present prior to 4e. I happen to think that rituals in 5e/Next should be cheaper and easier to use. Wow, really great writeup! Since so much of it is simply backstory/history, I don’t have a direct response. Although, I’m going to sleep on it and then give my thoughts on Vancian in general and as it has existed in D&D. Thanks! I’m not a fan of Vancian magic either, but with respect to the goal of “modularity” expressed for DnDNext, I suspect Vancian magic could easily coexist with the 4e system. I’m not saying it would be trivial to balance them, but I suspect it would be doable. If someone else is playing with a Vancian character and enjoys it, I have no reason to object to it. Spells, especially the wizard and to some extent the cleric spells, definitely solved a host of challenges quickly. It may have been cool the first few times, but after a while, the wizard having the answer to everything or nuking everything there was to kill in one round starts to rub the rest of the team the wrong way. It is a team game after all, and in team games everyone wants to contribute. The closer to everyone having impactful contributions, including on the battlefield, the better. Book of Nine Swords towards the end of D&D 3.x started to balance all classes into Vancian types, which was pretty cool. Got one of my players, a sworn spellcaster powergamer, to actually go melee for the first time in a long time! I think the uniqueness and coolness or appeal of Vancian magic is better presented in 3.x than 4e, where it spells and powers more mechanical and less unique to a class or theme. But, and this is a big but, more recent material started to change that, thank goodness. And 5e looks to continue that trend, so we should be excited! More story, more flavor, same class balance, faster combat… sign me up! As I have played every edition of D&D, I can say that Vancian system does have its flaws and they are only amplified when a party is allows to repeatedly rest so their spellcaster(s) can regain the use of their spells. editions after 1st tried to repair this in assorted ways but they also fed the fire by allowing spellcasters access to more spells per day based on superior stats. I think 4.0 did a decent job with balance during the heroic tier by providing the players just enough healing and magic resources to be able to press on.However during the paragon tier I noted that the players PCs either went through a battle fast with very lite loss of resources or suffered a lot during longer battles and one or two PCs chest lights would be blinking do to only having 1 or 2 healing surges left. Looking at the previous editions I normally found the party stopped adventuring once either the Cleric or Magic User ran out of spells esp during Org, 1st and Basic/expert D&D. 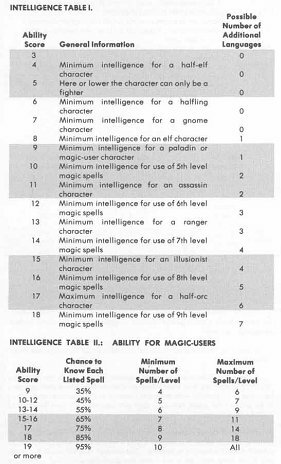 Second edition used a quite a similar system but with a much more refined spell system. When 3.x came out it partially solved the healing resource issue allowing a party to continue on adventuring for sometime and many parties stopped once the Wizard/Sorcerers ran out of magic. Don’t get me started on the 3.x Warlock. I experimented with a magic system during 2ed edition that used a points system sorta like 3.x psionics did, however players only recovered so much magic energy based on their level and closeness to a magic resource such as a ley line or magic font per hour/day/week. Also only so many points could be used for more powerful spells. 4th edition was nice with the at-will, encounter and daily resource management. However when a player used one of those dailies that they were expecting to hit the target and it missed normally caused combats to last much longer, no matter what players PC daily power missed. If you have a number of players miss with those powers you could be bogged down in one combat for a whole session and that no fun for anyone. The editions previous to 3.x most spells would automagically hit and then it was up to the creature hit to make a save. So I like parts of both systems. Perhaps giving spell casters the ability to invest in making their spell hit more often or being able to produce the spell more times because they have a greater natural talent/skill level with a spell per memorization slot, and once they reach a certain skill level with a spell they could based on the spell level or ruthlessness/utility/etc be able to cast it at-will? Vancian magic is baller, let’s face it. If you’ve tried designing other systems you’ll realize there are only a few that can exist peacefully and with such versatility. You have Vancian magic, a mana/power point type pool, or 4e’s bastardized version of magic. Oh and the warlock system, I guess that’s pretty cool too. Sure, 4e has at-will’s, encounters, and dailies, but do you really want to choose between running and jumping? Or how about swimming and climbing? Drinking and eating? You can only choose one! As an avid magic user player, I’m simply fascinated by the sheer choices I have, even if my selected repertoire of spells is limited (e.g. Sorcerer). Pingback: That gaming bug’s been buzzing by my ear again… » Oh, look! A chicken! I’m running an OD&D game, and just recently told the mages they no longer have to pick their spells… they’ll have to spend game-hours a day reviewing their books and notes, but can cast what they decide they need at will. This is part of my ongoing modifications of the rules that was expected back when I first began player! I’ve been playing DND since 1976. I’ve tried all the flavors and some other RPG games as well(lots). I havent touched on Pathfinder yet, and I’ve only read thru and picked at the DND Next materials. 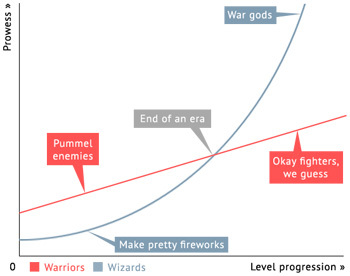 As a lover of Casters, I agree with the Linear Fighter, Quadratic Wizard chart above. there is a sweet zone, that all players feel like they are being productive and have their niche. Now as a Mage, I often memorize my spells so I am not the Showboat of the situation, but I am a utility belt, waiting to be used at the right moment. Knock spell? We have a Rogue, I’ll keep some scrolls for those magic doors he cant take. Invisibility and fly? I need an escape plan, but I’m not using it unless I have to.. I’m squishy. The Fighter and rogue have a bottleneck but the enemy have found a route to circle around the party. Wall of.., fireball to toasty things and allow for a regroup against the 2nd wave. The groups I play in bring up stories of how we barely survived, 1 player standing.. because i pulled a rabbit out of my hat. 0 hit points, I sacrifice myself with a color spray, go to -1 and pass out and then the paladin who was about to die with 2 full hitpoint shocker lizards on her… coup de grace the foe and stabilizes everyone. Not all Wizards are ‘showstealers’, but we have our place. For those of you who don’t know the feats that I am speaking about Complete Mage pg36+. Fiery burst: 1d6/SL damage, within 30 feet. Invisible Needles: 1d4/SL, 5ft/SL away… ranged attack roll. Not really game changing, but they give the mage a feeling of being a unique caster. these feats, just as the Quadratic Wizard chart show, will make the Wizard a smidge more on the top end, but it made his early years easier to handle. Less “I’m out of spells”. At 6th level, I found myself using the Fiery Burst less, because targets are further than 30feet away. I have wands which do waaay more. As the levels progress, this will be more and more of an occurrence. Especially as enemies have Fire resistance. 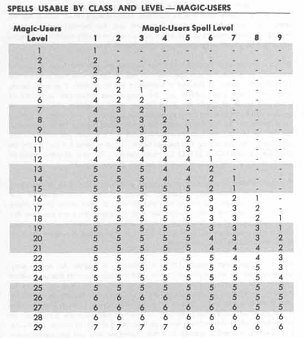 Looking back,,,1st or 2nd edition?…I played with a group that turned Spell slots into mana points pool using a dragon magazine article. The Wizards could read their books each morning and know their spells, but using full round casting, cast any spell they knew without sticking to whatever slot they memorized. This is likely the precursor to what sorcerer’s were designed from. The mage wasnt having to carry around tons of scrolls for those rarely used spells. We allowed the Cleric to do the same thing. Thus the casters became dynamic and able to handle different situations without saying “didnt memorize that”? and hearing “Why not?! ?”… because i have options to balance when memorizing. 😛 This Dragon variation was one of my most favored. Not sure how I’m going to like 5th editions preparing 4 spells /day? Ugh.. hampering the mages even moreso. I stumbled into this while questing for a good definition and explanation of Vancian Magic. This was great! I could really get an image of the spells being living things inside the head of a wizard, channeled through expertise into reality instead of some kind of arcane arithmetic that you mysteriously forget about. It’s a pretty cool idea. As for your later comments on the problems of the Vancian magic system, I would like to offer some counterpoints. First and foremost, my personal bias: I have only ever played 3.5, Pathfinder and 5e. I am actually only roughly familiar with 4th edition. I will therefore try to keep any comments about that edition to myself. It seems to me from what I’ve been told about earlier editions that several of your problems come from those editions, and not the more recent ones. By this, I mean problems like having to find all of your arcane spells, and spells that age you. I know that aging as a side effect of spells like wish and haste got phased out with 3rd edition. As for having to find all of your wizard spells, you are granted two at each level so that you can sustain your spell-casting abilities without having to quest about. If you manage to raid an ancient library, however, you can discover new spells and add them. The only “quests” you might have to do in order to gain new wizard spells are when the spells are mcguffins, like recovering a sword of truth or dragon-slaying arrow might be. “The spell which can close the portal into Hell has been lost for 400 years. Perhaps this map might give us a clue to its location.” No erroneous questing required. You also mentioned that Vancian magic is hard on casters. I began in an edition that had trade-out casting for clerics. The whole point of that addition, in my opinion, is so that clerics can do other useful things during battle, and then heal afterwards. Why waste a spell healing a fighter from a grievous claw would from a demon when you can use your holy powers to smite the bejesus out of that same demon with a spell of the same spell slot, thus stopping it from rending the fighter in the first place? This leads into the issue of poor agency. It can certainly be a real problem. I can think of two ways that this problem is dealt with: one in the rules and one by the players. The rules limit the spells of a wizard, so that he has to be selective in what he chooses. If he spends all of his slots on spells that replicate other players’ abilities, he can’t do any cool wizard stuff. He can probably buff himself up, use Tenser’s Transformation, and wade into battle, but at that point why not be a fighter or barbarian? He can go invisible and charm and mage’s hand stuff out of people’s pockets all he wants, but why not just be a rogue? The other part is just being a team player. You could load up on all of the fancy “save or die” spells, but what fun is that. Either BBEG makes his save and you wasted a round, or he fails and everybody else feels cheated. A real Good Guy Wizard takes the buffs to make the fighter stronger and faster, takes the stealth to make the rogue sneakier (“I’m going to make the rogue invisible so that he can sneak across the room full of guards and unlock the tiger’s cage without anyone noticing) and stopping bad guys from hurting anyone too much. Clerics are kind of the same: instead of “wasting your turns” healing, use your spells to help the party win and get less hurt in the first place. I love being a caster, especially in 3.5 and Pathfinder. I focus on making my allies better and making it harder for my enemies to hit them (or me). My fighter can take to the skies to battle off a harpy, and I can create walls and pits to stop my party from being overwhelmed. It lacks a dramatic boom, but how fun is that really? Finally, a lack of at-will spells forcing a caster to carry around a crossbow. “Back in my day” (though your day could have been before mine for all I know) low level casters not built for normal combat would arm themselves with low-level wands. Fairly cheap to come by, they would be 50 charges worth of extra spells for when your limited pool ran dry. This worked really well until casters had enough spell slots that they didn’t run out. Then pathfinder added “zero-level spells are at will”. That fixed that problem. This isn’t to say that there are no problems with Vancian Magic. My biggest problem is actually one of immersion: The more spells I have, the bigger my spellbook, the more time I have to spend on the technical aspects of my character and the less I can spend role-playing. While my friends the fighter and bard can spend time talking tough in taverns and negotiating treaties, have found myself with my nose in the gaming books, trying to remember exactly how each spell works for if and when anything goes down. Too many spells and abilities detracts from the roleplaying experience. Also, you don’t always have a Good Guy Wizard in your party. Sometimes, you have the powergamer, the munchkin. You have the guy who casts hold person on the BBEG in the middle of his monologue, and gets the rogue to coup him in the lamest anti-climax to your two year game. Maybe the fighter’s nemesis and his band of brigands show up for a battle, and the wizard drops a maximized fireball or finger of death on the guy. Totally not cool. Finally, it can definitely be limiting. Being a dedicated healer really isn’t that fun. No, you can’t have a Harry Potter type system of magic. Every system has limits. It’s hard to be an effective dagger duelist fighter by any system I’ve played so far. It just isn’t as good as a fighter with a bigger weapon. As for different genres, no system of magic that I can think of fits every genre. That’s why different games have different systems. Wizards’ “Unearthed Arcana” had a whole mess of alternate rules systems including corrupting magic and rules for armorless combat (without getting automatically cut to pieces), which fit different worlds from the Vancian one from which Vancian magic originated. Vancian magic has the potential for overuse and abuse, making the game not fun for everyone involved. Alternatively, it has the potential to be a all-use utility tool for making games more awesome. Letting your fighter fly up to the top of the tower to save his princess (or her prince) wil make him love you, and using your powers of divination to give cryptic hints about where the Mcguffin is will make you a DM’s best friend. It’s not a perfect system, but I don’t think you quite gave it justice. I hope this helps a bit. Both FINDING and LEARNING new spells is supposed to be hard. This isn’t supposed to mean that the party goes on a special quest to satisfy the wizard’s munchinising urges for Fireball and Lightning Bolt; it supposed to mean that wizards don’t get to munchinise their spell book at all. If this is refereed properly it really does improve both balance and agency — and can also help with story-telling and characterization. That is, you can sometimes get much more interesting game play if the wizard doesn’t have any area-effect mass destruction spells, and instead tries to get the most possible use from Clairvoyance and Water Breathing. Exactly what you make available should be tailored to your campaign style. While what you say is true of most game systems, it’s telling that 5e does not use this balance mechanic, despite a hard lurch toward their AD&D roots. That’s because there’s a a big difference between telling people that they don’t find a magic sword and that they can’t access game mechanics. Thanks for this article. I’m trying to put together a video on magic in Roleplaying Video Games, and how AD&D influenced it, it’s limitations, and how it’s balanced against other types of play. This hits on a lot of those points. Excellent review of Vancian systems. I play with a mana system, though, and prefer thr way it functions . So some apologizes are in order. So Abraxus is dead. Bring on the fresh meat. All the evil, half the calories. Subscribe to this blog by clicking the link below. You know you want to. I'm not half as evil as this guy.